Take care of yourself and your family; you are part of the team. You will see the same health care team each time you visit your medical Home, so you’ll get to know them and they will know you and your specific needs. Your medical home team can help answer your health questions. We will also keep track of your health information and medical records using electronic records and computers. Find the medical expert you need. If you need to see a specialist, we can put you in contact with the right one for your health needs. We will make sure the specialist has all the necessary medical information about you to make informed treatment decisions. Stay in contact with health care team. In addition to keeping convenient office hours for you to schedule your appointments, your medical home may offer the option of keeping in contact using the Internet and e-mail. You are more likely to get care that is better for you, because your personal health care provider knows you and your health history. Your Health care team can be your guide to help you decide if seeing a specialist is the right course. You will have better access to care that is coordinated between your doctor, hospitals and specialists. 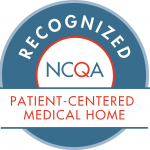 Gilbert Center for Family Medicine has been recognized as Patient Centered Medical Home by the National Committee for Quality Assurance(NCQA) since 2011. NCQA’s website contains information to help consumers, employers and others make more informed health care choices. NCQA is governed by a Board of Directors that includes employers, consumers, health plans, quality experts, and representatives from organized medicine. NCQA’s Web site (ncqa.org) contains information to help consumers, employers and others make more informed health care choices. The National Committee for Quality Assurance has awarded an accreditation status of level 3 for demonstrating a broad range of capabilities of an Patient-Center Medical Home. The Recognition Programs are built on evidence-based, nationally recognized clinical standards of care. What is my role as a patient in a medical home? Partnership between patients and their healthcare team is the corner stone of a medical home.Patients are the center of the medical home,and you are expected to play an active role in your own healthcare.You should work with your healthcare team to create a personalized care plan that works for you. How will the medical home help me? All your healthcare needs will be delivered or coordinated by your personal healthcare team. How is this approach to medical care different? How are relationships built between my care givers and mein the medical home? The medical home offers safe,comfortable,and compassionate care based on a long-term relationship.Your healthcare team really knows you and your family,your health history and health conditions. What are the primary goals of the medical home? How can i take care of my health? You and your health care team will work out a health care plan specific to your health needs-it's your job to contribute to making the plan and then follow it. Make sure you understand how to follow the plan,and to set appropriate goals for yourself. How can I be more open with my health care team? Tell your health care team if you have any problems sticking with your health care plan and ask for help making changes that are right for you. Tell your health care team what you need from them,and ask what they need from you.